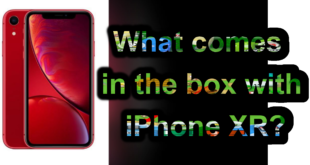 How to enable emoji in iPhone and how use it, if you want to send smiley and fancy emotion picture with text [mail, iMessage, chat] at that time you’ve to need enable emoji in your iPhone fast. Perhaps before you would use emoticons to send pleasing pictures like cars, animals, flowers, pretty face of cartoon etc. with text in your iPhone or iPad. But now it’s emoji in your iPhone. 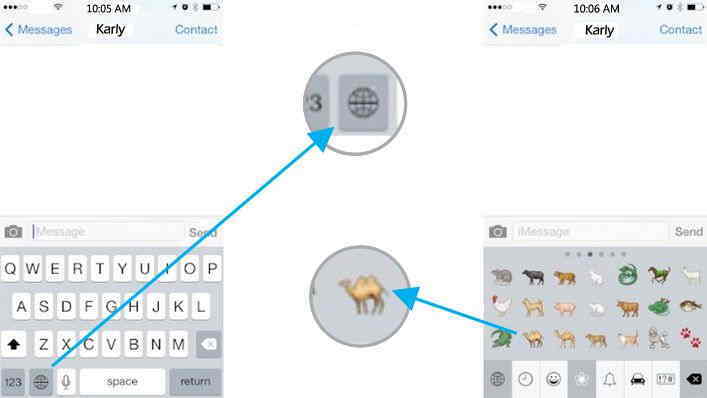 By doing enable emoji, you can use it quick from your iPhone keyboard. 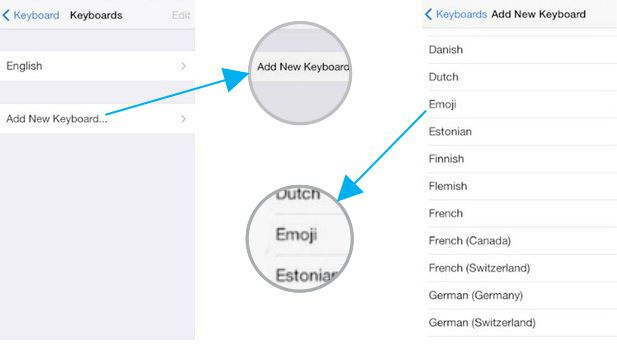 If you’ve no idea about how to enable emoji and use it in your iPhone? 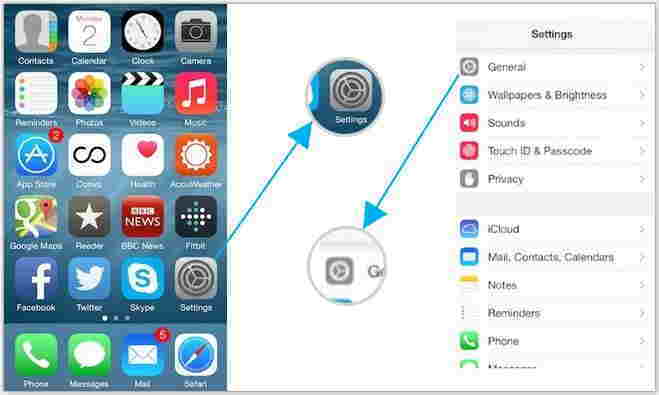 Then follow beneath given step by step instructions and use it during your imessage and make it very happy. 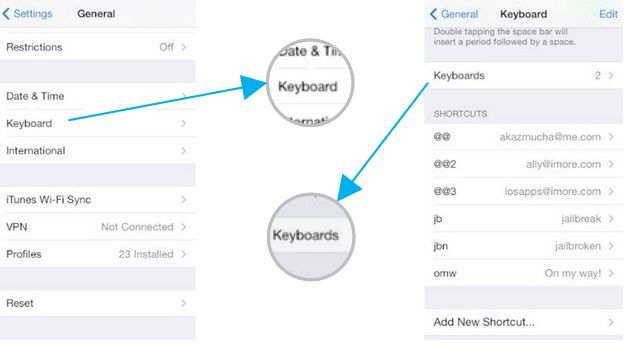 In iPhone 6 users can install and use third party keyboards as well. 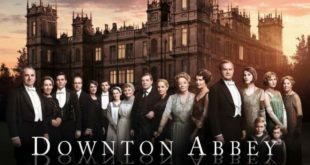 Here you can see that all keyboards are arranged in alphabetically manner. Scroll down up to E and select new keyboards Emoji. 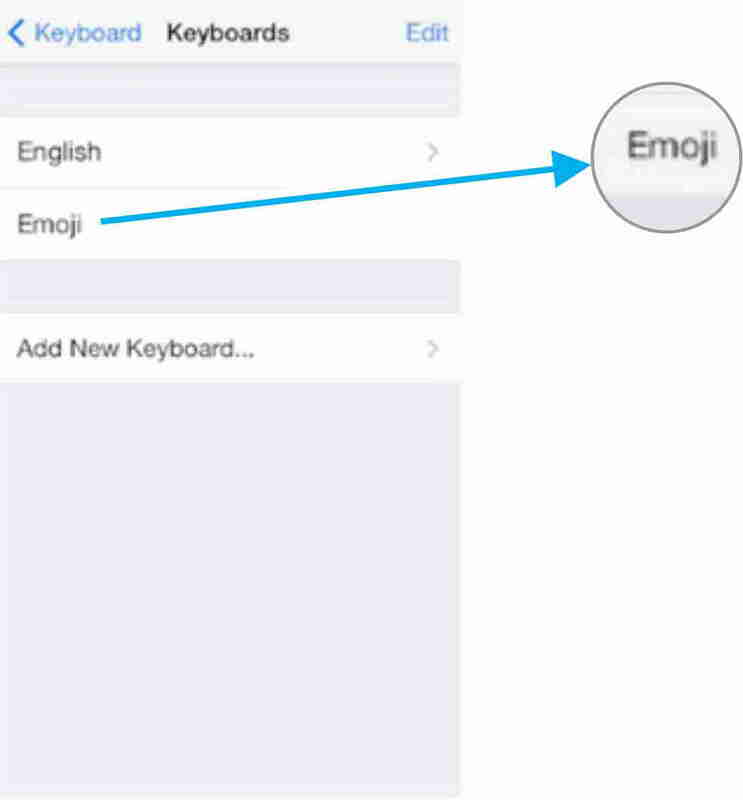 At, above you got how to enable emoji in iPhone, right now read below step how to use emoji in your iPhone or iPad. Launch message or any other Apps which has required keyboard, after doing it and now you on text field of message app right, when you tap on text field at that moment keyboard will pop up. of the number toggle of keyboard. You can see in the given picture, lot of different emoji, you can send it by tap on it, which you would like. And after sending it, you can leave it through again tap on Glob. Let’s, to know us how to fell now chat with your friends and group, after enable emoji in your iPhone. Share us if you’ve any inconvenience, on these tips how to enable emoji in iPhone and how use it.